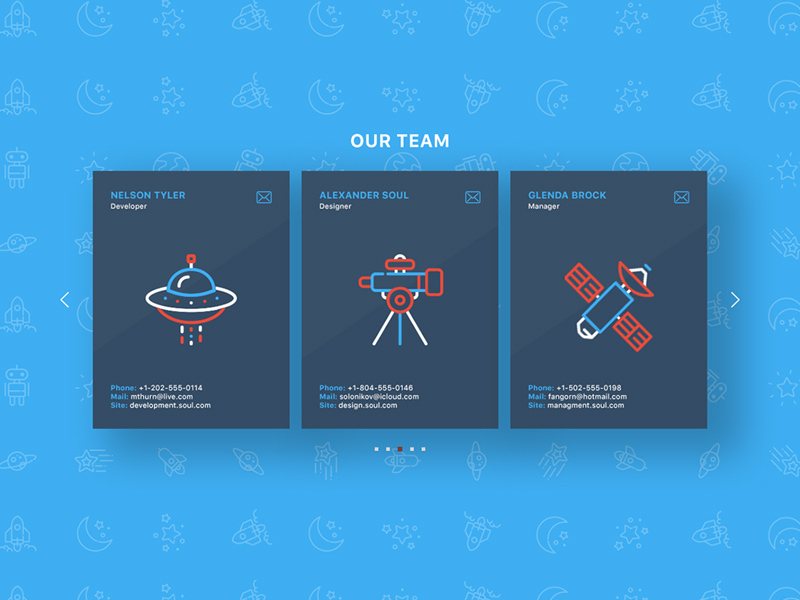 Team Page Section is a free PSD interface kit.Download MISC. Here we have for you a user interface psd. Team Page Section is perfect, fresh and stylish for designers and web developers. This MISC perfect for free team page template section, ux, design, challenge, Web, new, UI/UX, screen, development, team. A neat team section page that comes with 3 lovely illustration made by Alexander Soul. Enjoy!